This past week Bishop Cummins and I have been making our annual retreat with 13 bishops of Northern California and Nevada. 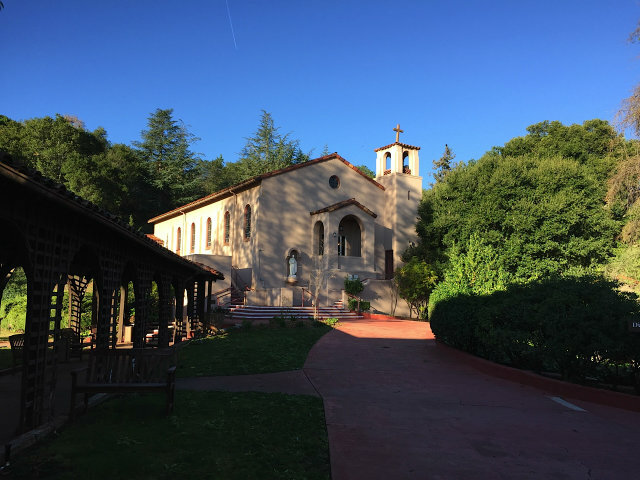 We make a silent retreat, with individual spiritual direction, at El Retiro San Inigo, the Jesuit Retreat Center in Los Altos. One of the benefits of being there is that one has a view of the East Bay from San Jose up almost to Oakland. I prayed for you all every day. 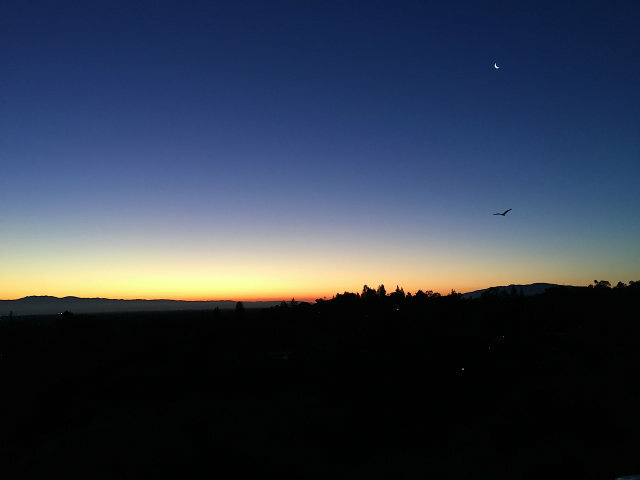 Here the sun is rising over the Diocese of Oakland. Here is a view of the “Rossi Chapel” at El Retiro. It was donated in 1928 by the Rossi family, founders of Italian Swiss Colony Wines. Their son, Fr. Carlo Rossi, became a Jesuit and taught for years at USF. The Jesuit Retreat Center has retreats for lay men and women year ‘round. As part of my retreat, I visited the Jesuit cemetery, which is located on what once was the grounds of Mission Santa Clara. At one time each Jesuit got a full headstone, with the dates of our Birth (Natus), Entrance into the Society (Ingressus), and Death (Obiit) engraved in Latin. Here you can see the tombstone of Father Hilary Werts (a priest: “Sacerdos”). 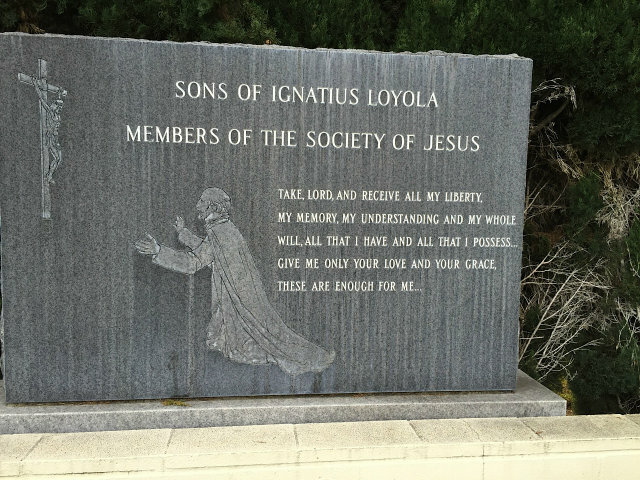 In the past twenty years or so we’ve been running out of room, and now multiple Jesuits are being combined in one grave. It seems a little crowded, but then again, we’re not going to be in the grave forever. We’re just waiting for the Resurrection on the Last Day. Visiting a cemetery is a good way to prepare for Ash Wednesday “Remember that you are dust, and unto dust thou shalt return.” It helps us live each day to the fullest and keep things in proper perspective. This entry was posted in Uncategorized by bishopbarbersj. Bookmark the permalink.